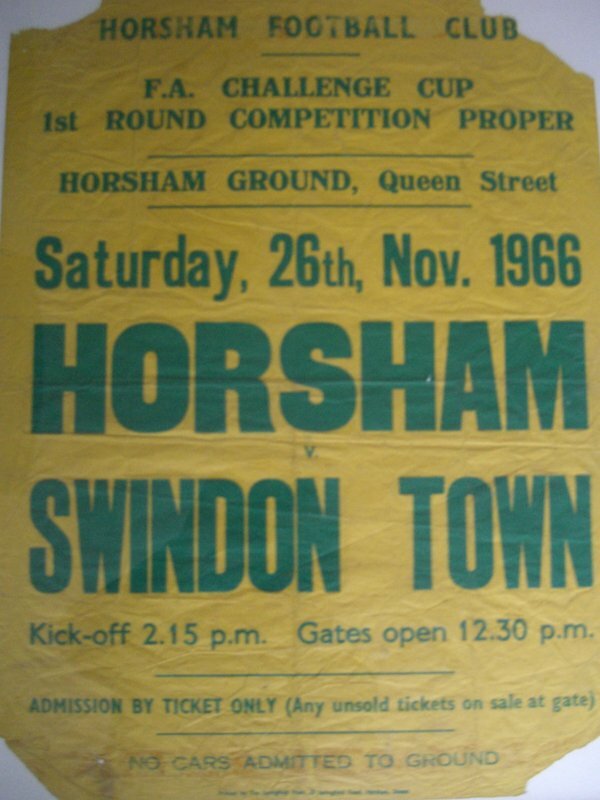 Horsham’s FA Cup hopes ended bravely when goals by Don Rogers, Mel Nurse, and Dennis Brown secured Third Division Swindon a 3-0 victory in front of a record Queen Street crowd of 7,134. 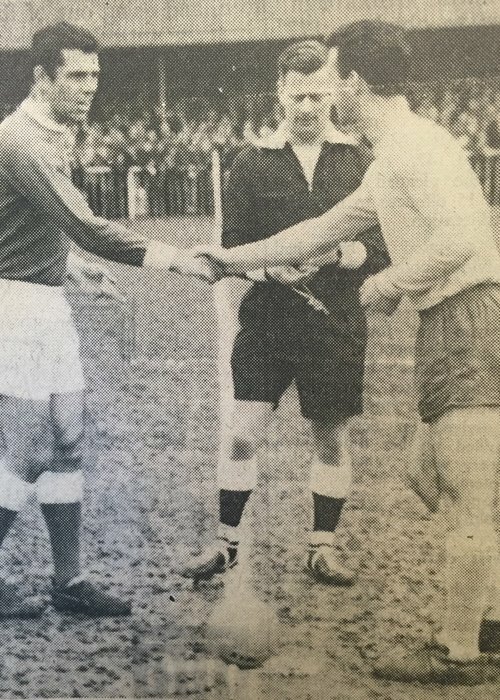 England Under-23 international Rogers, valued at around £40,000 and sought by several of the big clubs, was the biggest thorn in Horsham’s side. 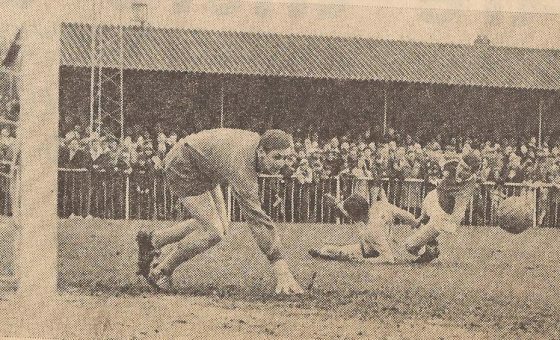 He got the first himself and then broke the back of Horsham’s resistance by laying on the two match-clinchers during the second half. 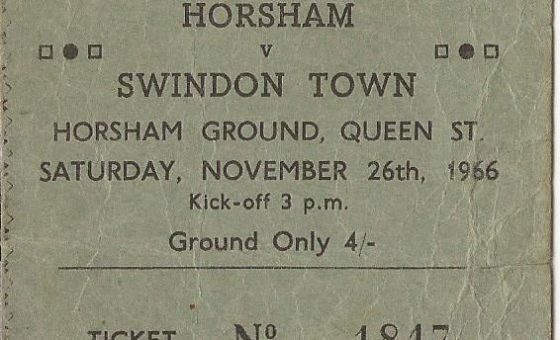 Although the home side built up their moves well in midﬁeld, they had nothing to match Swindon’s greater pace off the mark and speed of thought. 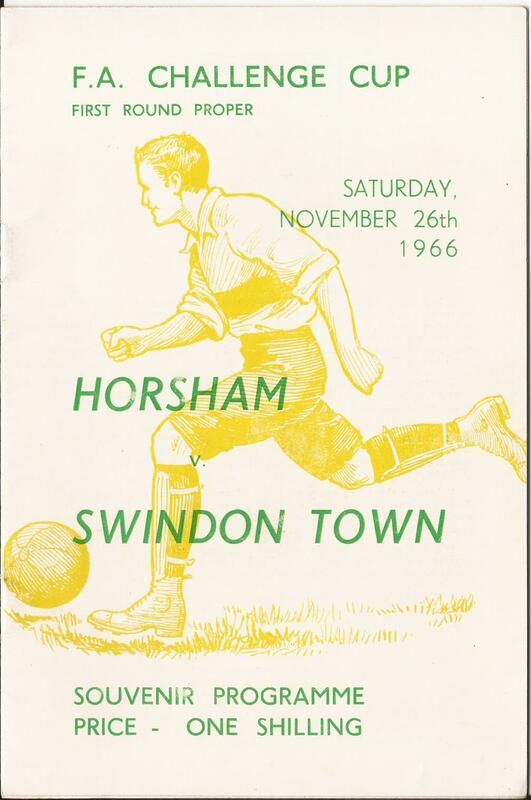 But Horsham were far from disgraced. 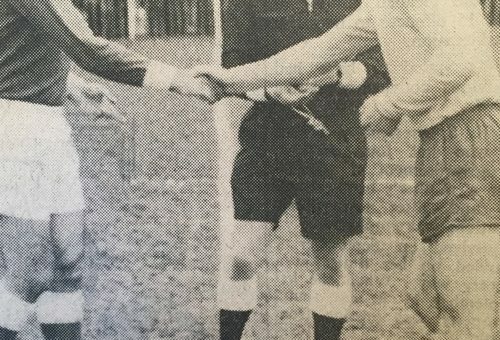 They fought tooth and nail and, by the end, the League side must have known they had been in a scrap. 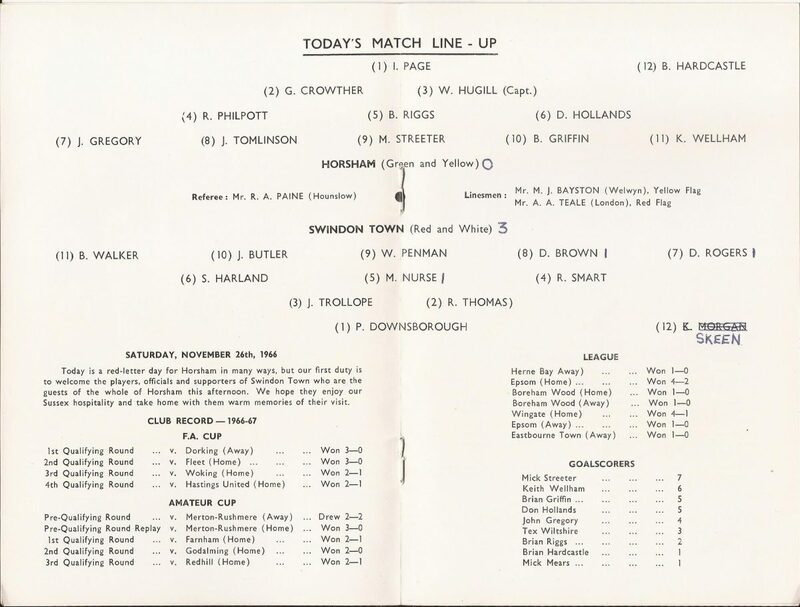 Horsham kicked off amid a tumult of noise and immediately launched their attack when Brian Griffin got the ball on the left and Wilf Hugill moved up to join the raid but John Trollope pulled the ball clear. 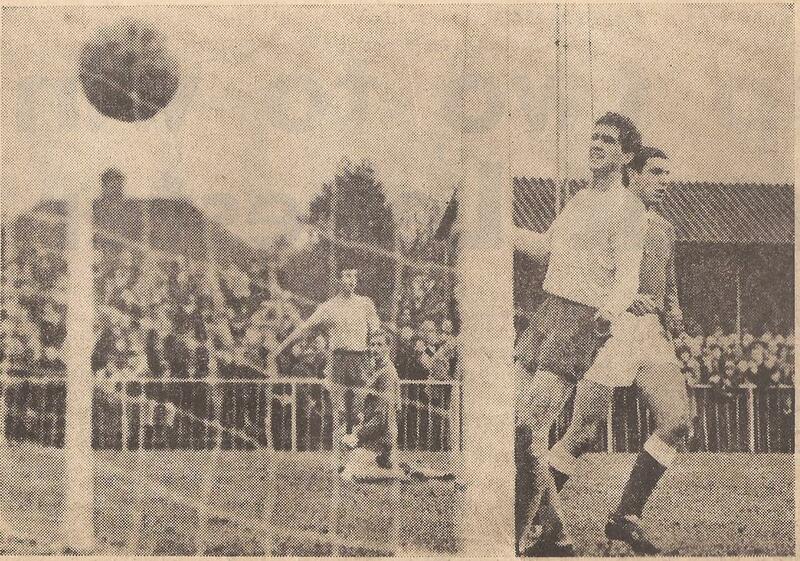 When Trollope sent a dangerous-looking ball into the amateurs‘ penalty area, Brian Riggs got up to head the ball clear. 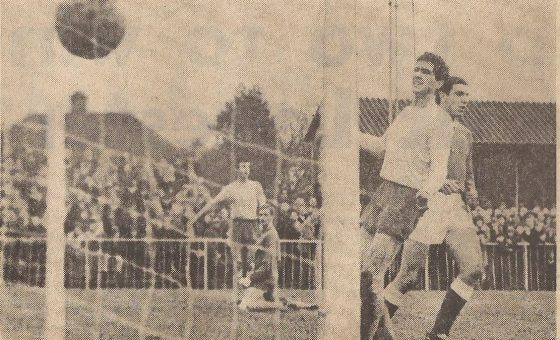 At the other end Swindon were in trouble when Griffin and John Gregory split the defence but Mick Streeter’s shot was charged down. Then Rogers burst through but his shot was deflected for a fruitless corner. 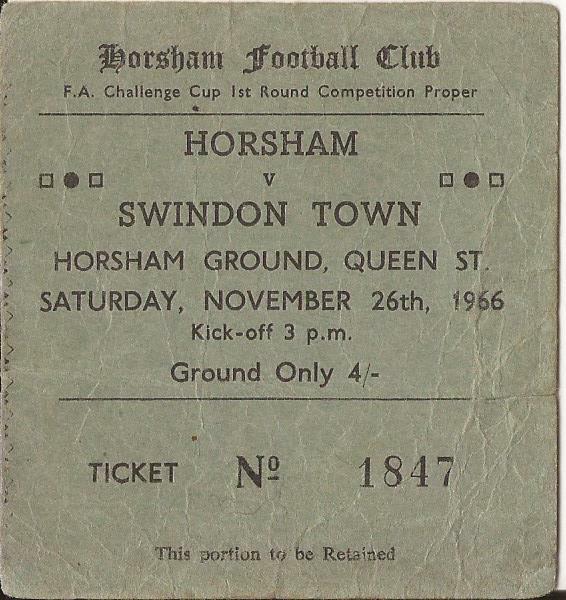 Horsham won their first flag-kick on seven minutes, before Rogers showed just how dangerous he could be with a lightning one-two move with Roger Smart. 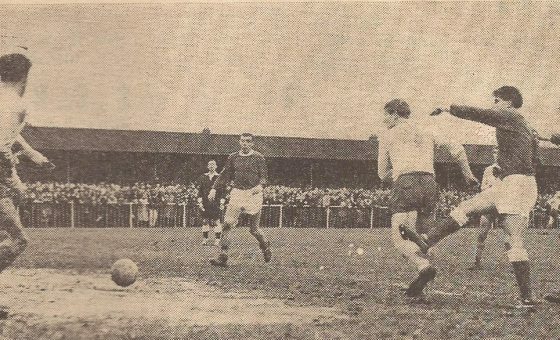 Willie Penman’s header, from Rogers’ cross, was only just wide of the far upright and then Joe Butler linked up with Rogers but his shot was easily saved by Ian Page. 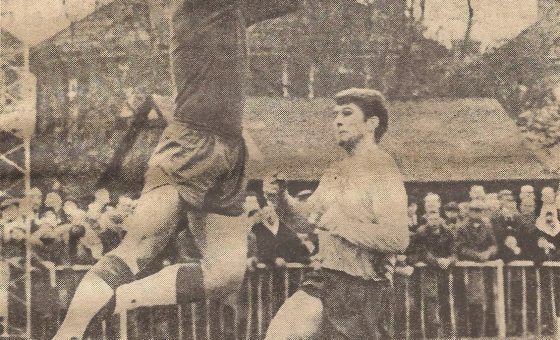 Rogers was only inches wide when he cut through the centre but Page was Horsham’s hero on fourteen minutes when he clawed away a Rogers cross and then blocked Dennis Brown’s effort from the rebound. On seventeen minutes Horsham swept back into the picture. 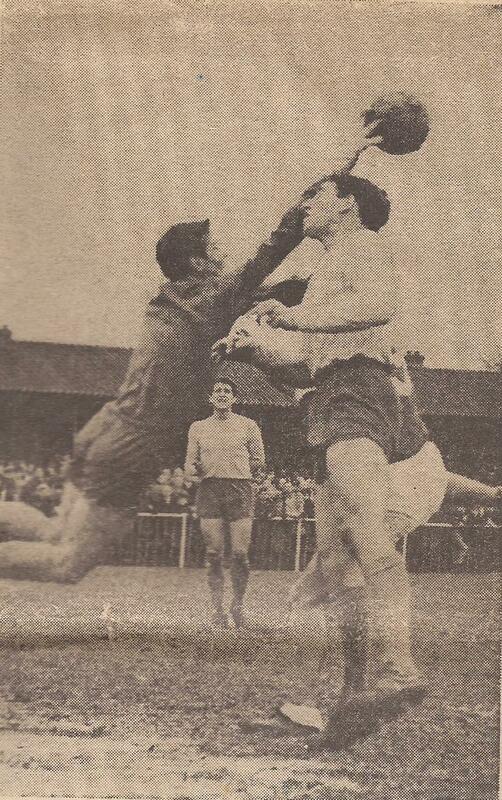 Griffin beat two men and Peter Downsborough had to move smartly from goal to foil Don Hollands. 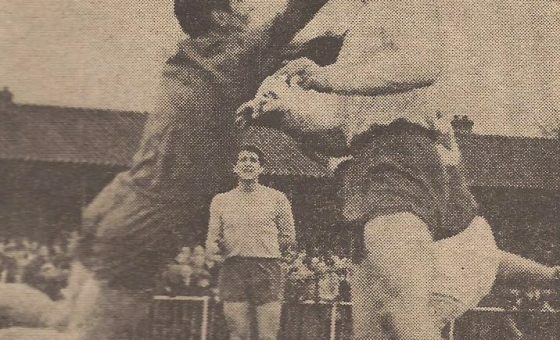 Swindon forced the fifth corner of the match on nineteen minutes but again Page came to the rescue, saving Brown’s header from Rogers’ cross. Swindon stunned their hosts with a goal in the 26th minute by Rogers, who intercepted a short goal kick from Page to Hugill. 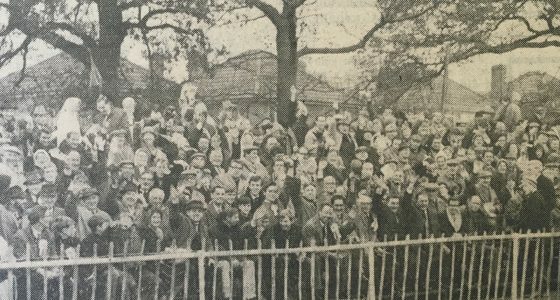 Horsham protested that the ball had not gone outside the penalty area, but their protests fell on deaf ears. 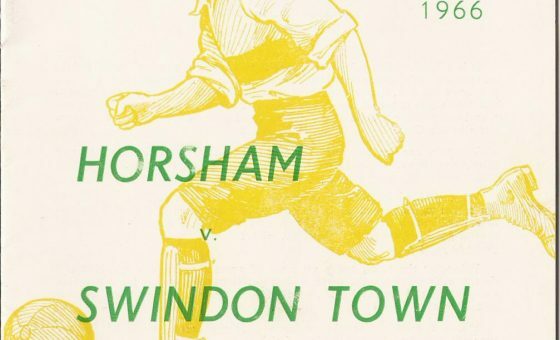 The locals were showing plenty of fight, John Tomlinson raising home hopes when he won a midfield duel only for Swindon’s defence to recover in time, but the visitors’ class was obvious. 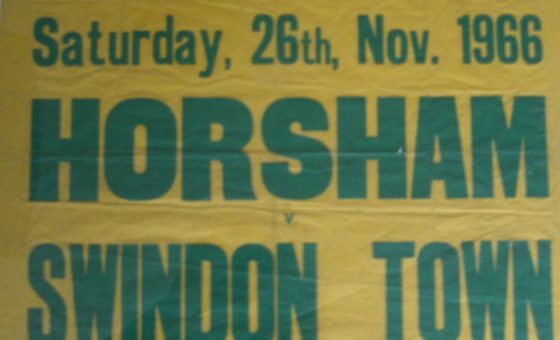 Horsham had little more than courage to offer and it was an uphill battle all the way but, four minutes from half-time, the part-timers produced their best thrust so far when Keith Wellham found Streeter with a crossfield ball but Downsborough cut out the danger. Horsham were quickly on the attack in the second half. 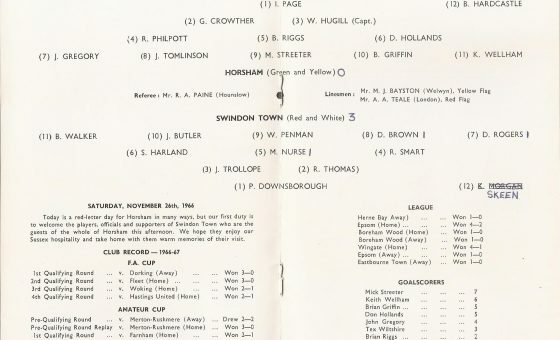 Wellham beat Rod Thomas but Swindon’s speed again proved decisive as, before the home attack could make the move pay off, Thomas was back to clear. Rogers was easily the visitors’ most dangerous forward, and he was only narrowly wide again after combining with Penman while Smart tried one from twenty yards, which went over the bar. 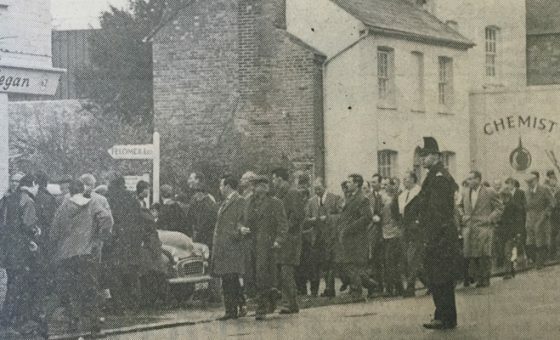 Yet Horsham’s spirit was unquenchable. 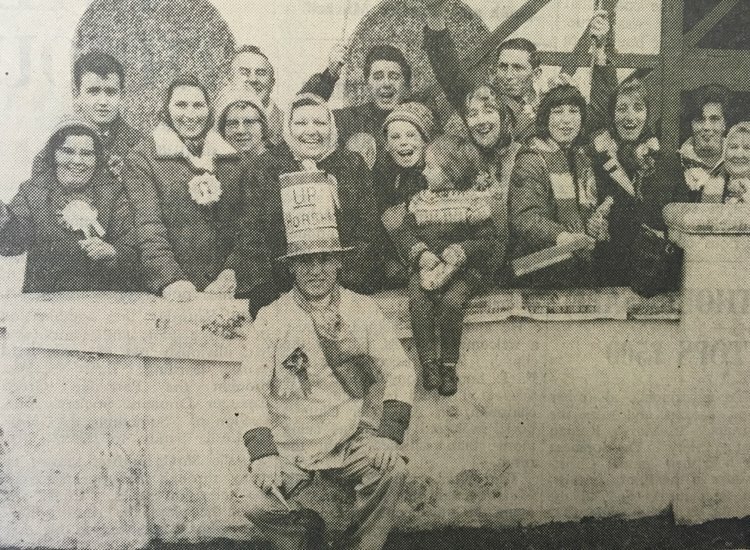 Tomlinson found Griffin with a beautiful through ball but Griffin’s shot went into the side net and then Downsborough saved a pile-driver from Wellham. Most of the action, though, was at Horsham’s end and Penman hooked the ball over and Rogers glided a header from Walker’s cross just wide. 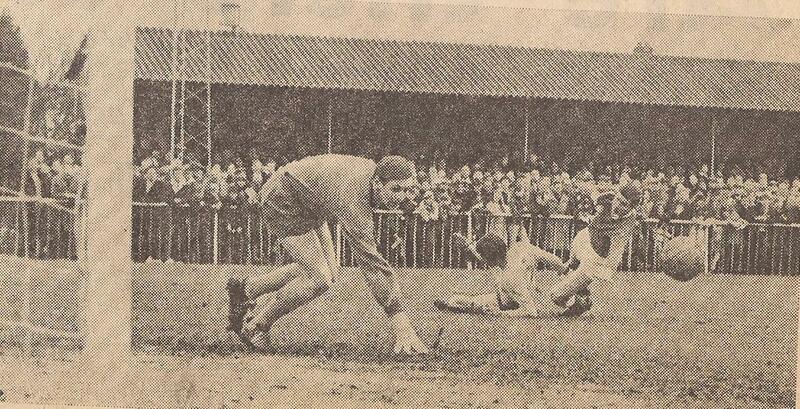 Swindon, kicking with the slope, continued to pile on the pressure. 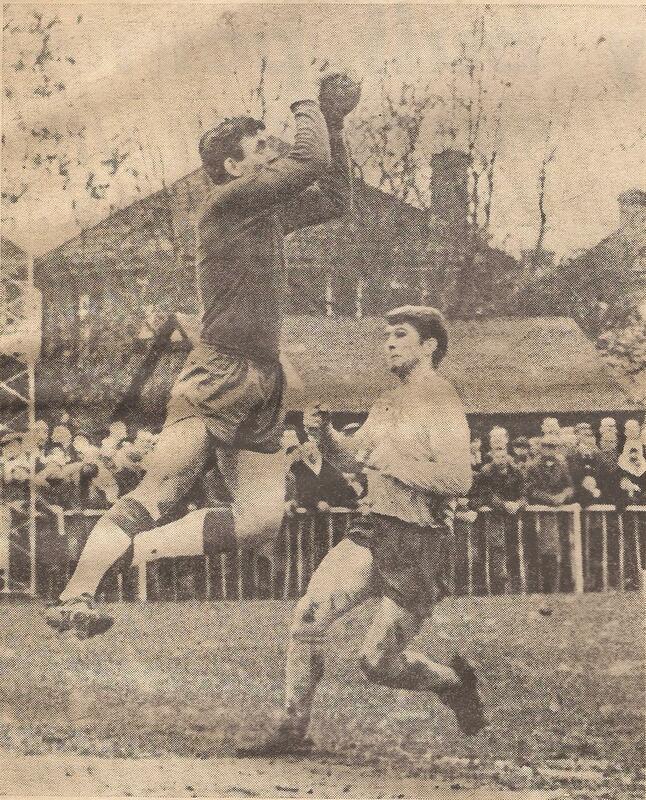 Page was Horsham’s saviour when Trollope burst through and then snatched a Penman header off Brown’s feet. Swindon looked as though they had sewn it up in the 62nd minute when Penman headed home Brown’s centre after a rare mistake by Riggs, but the referee disallowed the goal for an infringement after consulting a linseman. Still Horsham didn’t stop running and looking for an opening and when Griffin raced on to a back pass from Thomas, Downsborough just got to the ball first. 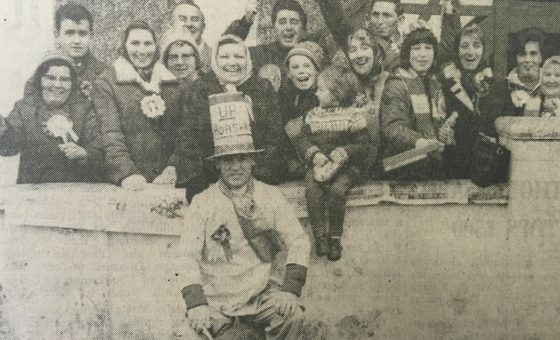 The brave amateurs’ cup hopes ended on seventy minutes when Swindon were awarded an indirect free-kick ,just outside the penalty area. Rogers flighted the ball perfectly for Nurse to cut in by the far post and head into the net. 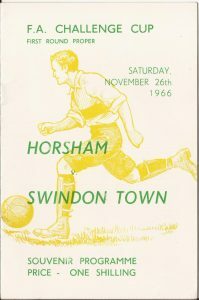 Horsham kept trying, Wellham heading on a Hugill cross to bring Downsborough into action, but it now looked a hopeless task, even though Downsborough had to make the best save of the match when Streeter beat his man on the right and centred for Griffin to scissor-kick a brilliant effort that dipped just under the crossbar before Swindon’s keeper fisted it over the top. Four minutes from the end, Swindon scored again. Streeter lost possession deep in Swindon’s half and Thomas sent Rogers away. 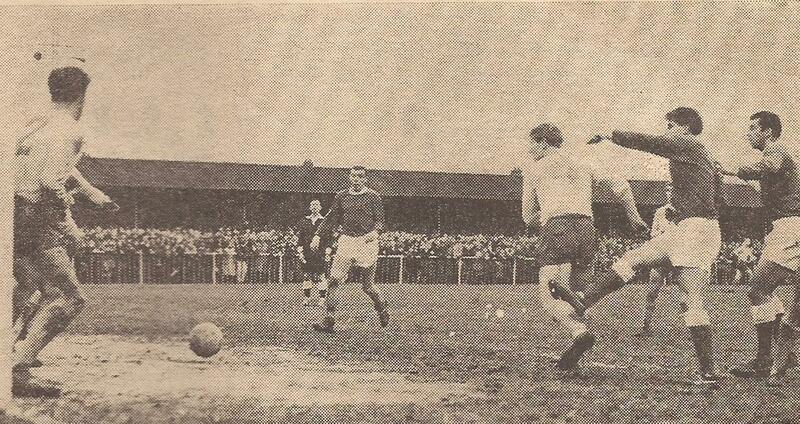 The winger made ground and squared the ball back for Brown to hammer past the helpless Page. 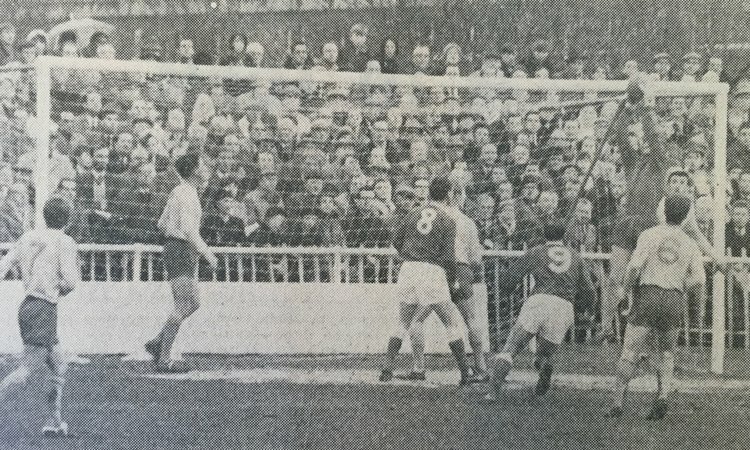 In the dying minutes, Philpott saved a certain goal when he headed a tremendous free-kick by Nurse out from under the bar, and Penman was only inches wide.